your own to to replace 'happy birthday'. personalised orders only. message for inside card - we will only print this if 'yes' is chosen above. Live your life and forget your age with this card - perfect for the man in your life - or just a male friend. 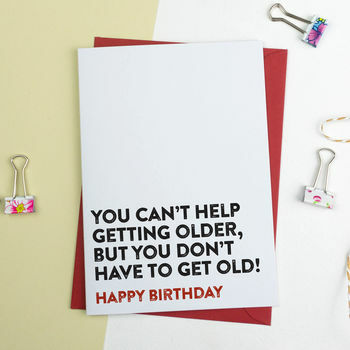 A bold and simple typographic birthday card that's perfect for people that are hard to buy cards for! Remind him of his childish side with this card! - You're only as young as you feel! 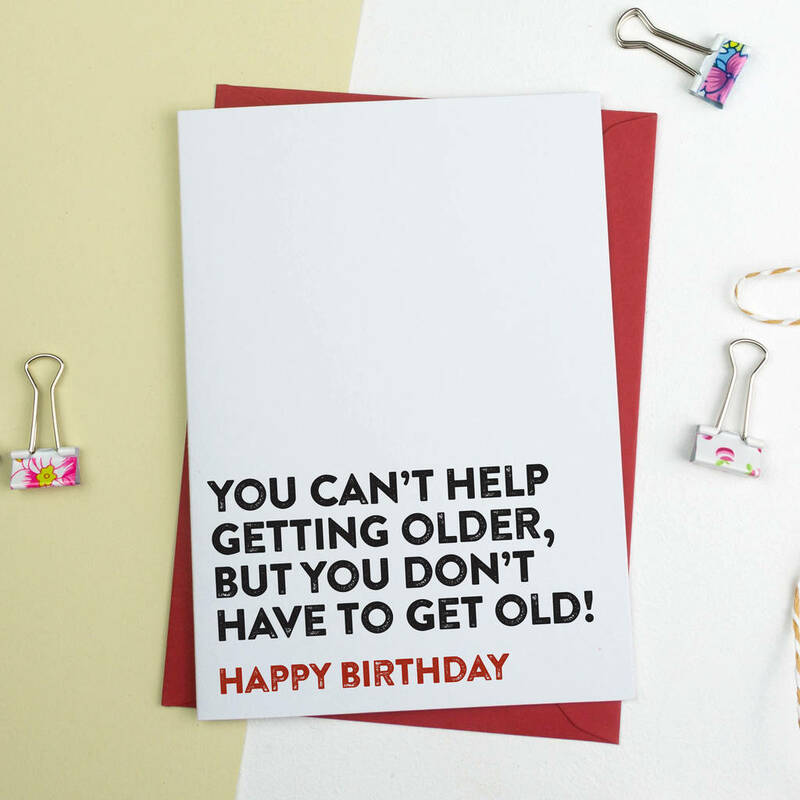 This humorous birthday card will remind him that age is just a number! Our cards are supplied with a plain envelope and are posted in an A5 board-backed envelope to make sure they reach you in perfect condition! This funny Birthday card is perfect for the man in your life. It also makes a great card for a male friend or family member. This bold card is great for men who are difficult to buy cards for - the contemporary design and message will makes this a perfect choice for 'birthday cards for men' or 'funny male birthday cards' or 'birthday card for male friend'. You can personalise the outside of this card with your own message and have the option to add a message printed on the inside of the card. Printed on uncoated 350gsm heavy-weight card stock for a contemporary feel and finish. All our cards are printed in the UK on recycled cardstock from sustainable sources. (Approx) 12cm wide x 18cm tall (when folded).